I had just had a few moments to crack open a magazine today and happened to pick up the June 14, 2010 edition of Time magazine. 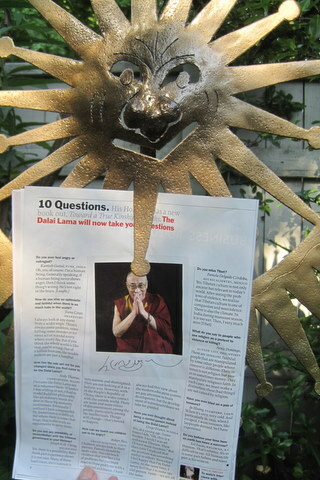 Its”10 Questions” column featured the Dalai Lama, who apparently has a new book out called Toward a True Kinship of Faiths. As we go about doing our own work, how much of what we consider essential, what we truly value, do we take for granted? The Dalai Lama reminds us that we need be intentional in our actions to create the word we’d like to see. But I also found in his concern, another request. That as we focus on achievement and producing results, we need to also remind ourselves that our humanity, our societal connections formed from kindness and empathy, are achievements too. And ones we need to work at.